The most original activities, the most interesting museums, must-see curiosities and the most impressive panoramic views in the Belgian Ardennes… From now on all this information is gathered in a handy guide. The Guide Ardennes-Pass will soon be celebrating its tenth anniversary and has become the only indispensable partner for every holiday maker in the Ardennes. Ardennes-Etape has examined the complete region of the Ardennes in order to suggest holiday makers only the very best. Each and every one of the activities and curiosities listed in the Guide Ardennes-Pass have been reviewed and approved by the Ardennes-Etape team. Where can I find rental kayaks for the whole family? Which museums are worth a visit? 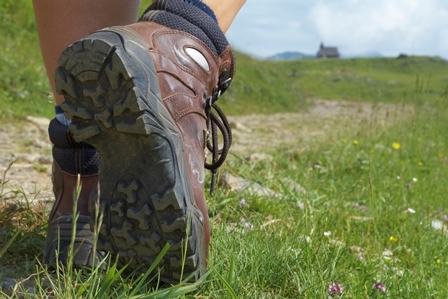 Who organises adventurous outdoor activities in the Belgian Ardennes? Where should I look for the most impressive Ardennes caves? The Guide Ardennes-Pass answers all these questions. Every year Ardennes-Etape takes on the challenge to find the best tourist attractions in this beautiful region. In the edition 2012-2013 fifteen of them have been added: a traditional brewery, a chocolate factory, Segway rental, an ostrich farm and many more. 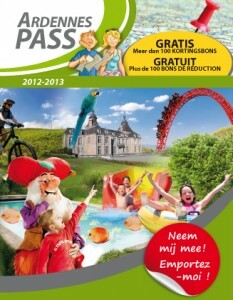 The Guide Ardennes-Pass is exclusive and free for all Ardennes-Etape holiday makers. On arrival in their holiday cottage in the Belgian Ardennes they receive this unique Guide, filled with great discounts and advantages for each activity! On top of the many discounts the Guide Ardennes-Pass lists all swimming pools in the Ardennes, all playgrounds where your kids can go nuts and the most breath-taking viewpoints. A brief calendar keeps you up-to-date on the events in the region you simply cannot miss out on! The edition 2012-2013 comes with a map of one of the Ardennes provinces – Liège, Luxembourg or Namur. This pocket-sized guide has become even more practical! Depending on your destination you receive a map of the province with detailed information on all its activities. On the flipside, a general overview for the whole region of the Belgian Ardennes is provided. With the glimpse of an eye you will know which activities are located near you. For more information on the Guide Ardennes-Pass please call Anne Counet at Ardennes-Etape, Ster 3b, 4970 Stavelot, Belgium, visit http://www.ardennes-pass.com/En/ArdennesPass.php, phone: +32 (0) 80 29 24 00, e-mail: a.counet@ardennes-etape.com. This entry was posted in Guide Ardennes-Pass, Press release, Recent articles and tagged Ardennes, Attraction, Curiosities, Discounts, Holiday homes, Stay, Swimmingpool, Tourism by Ardennes-Etape. Bookmark the permalink.